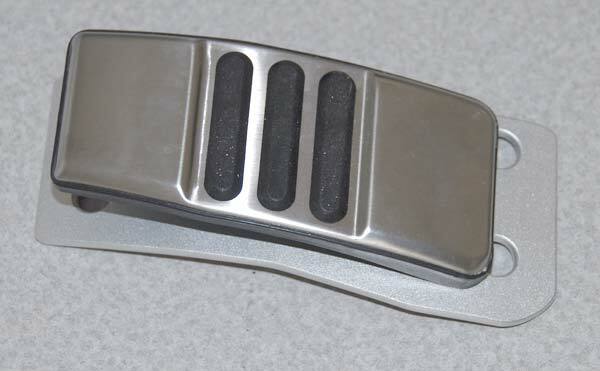 Ford has included some decent pedal covers with the new V6 mustang. 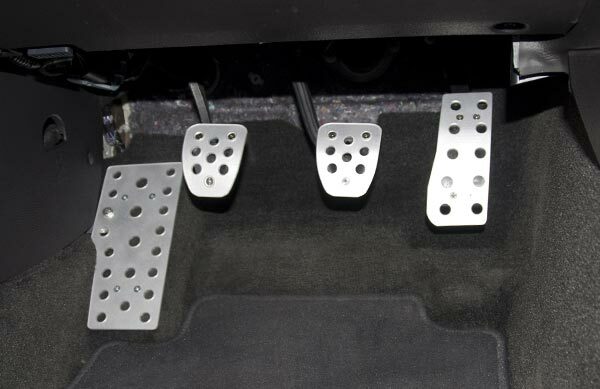 The stock pedals used to be an upgrade on earlier years. However they still did not include a dead pedal. I would have been happy to pay another $10 for a dead pedal form the factory. 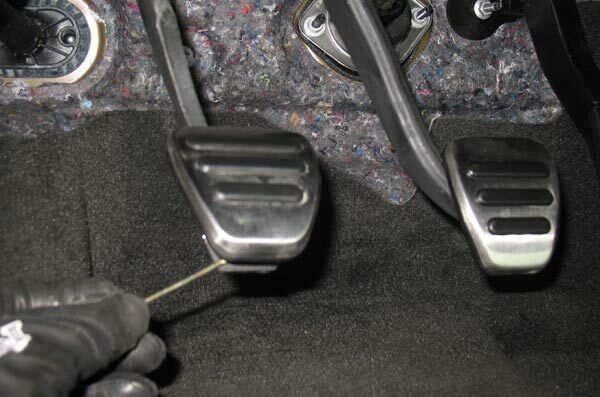 I also plan to track the car and wanted some larger pedals for a better heal toe experience. 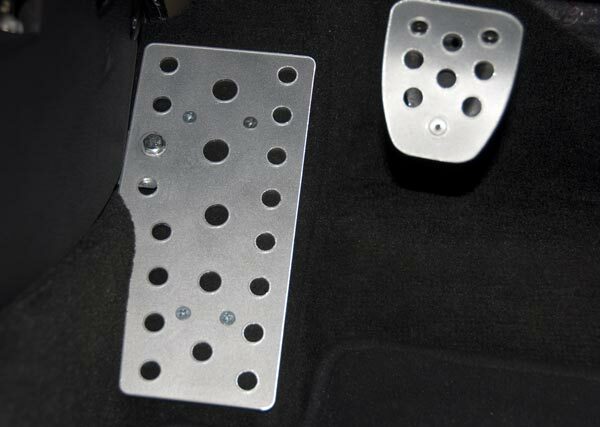 I had been looking around at different pedal sets and decided on a Sullivan Racing Products Mustang Pedal Kit I found at Latemodel Restoration Supply The team there had these pedals in stock and shipped them out quickly. The LRS guys know there mustangs and I have never had a disappointing experience with them. They are made from billet aluminum and are CNC machined. 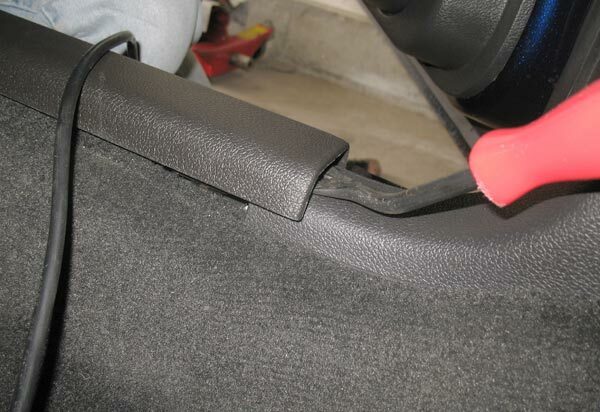 They are sold in 4 piece set for manual cars and include dead pedal cover, automatic kits are also available. 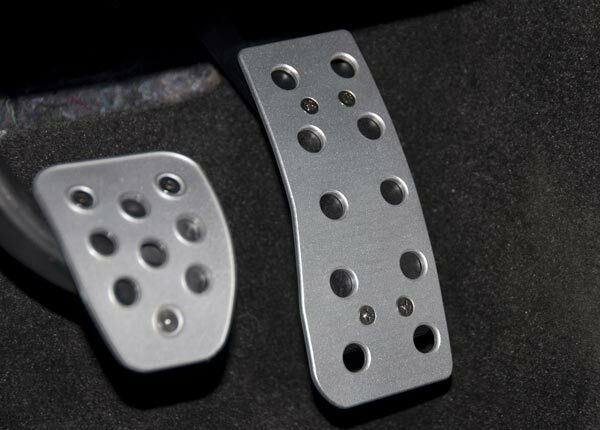 These aluminum pedals fit all 2005-2012 Mustang GT, V6 and Shelby’s which make them a perfect upgrade for any type of driving you might do. They feature a satin finish with plain face and no logo machined onto them. 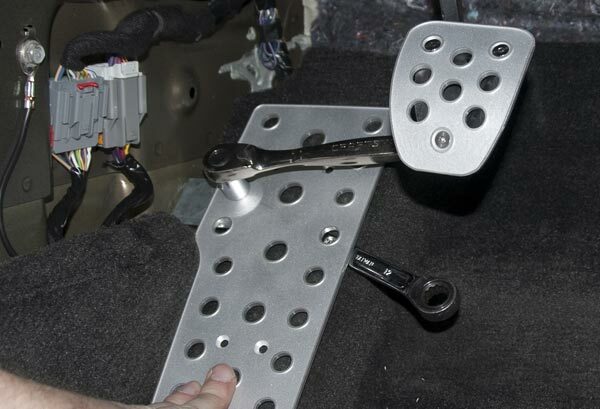 They mount on existing pedals and include all necessary mounting hardware. 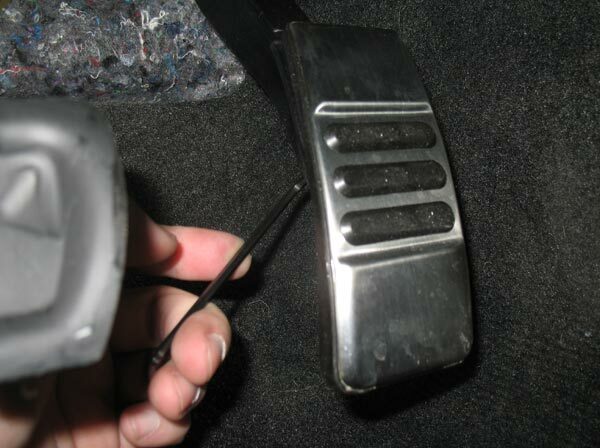 Also the brake and clutch pedals have raised surface to help catch your shoe in wet or dry conditions. 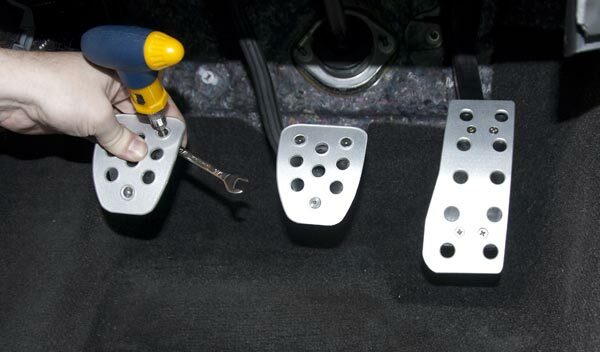 I felt that these pedals were a much needed upgrade, especially if you plan on driving your mustang with any fervor at all. After having these installed I have been extremely happy with their look and feel. 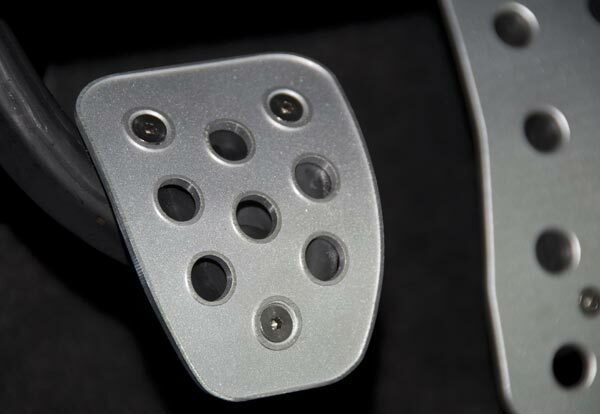 Heel toe driving is much easier and the grip level of the pedals is increased over stock. You will want to give yourself about 3-4 for this install. Hopefully this guide will save you some time as I did not have one to follow. 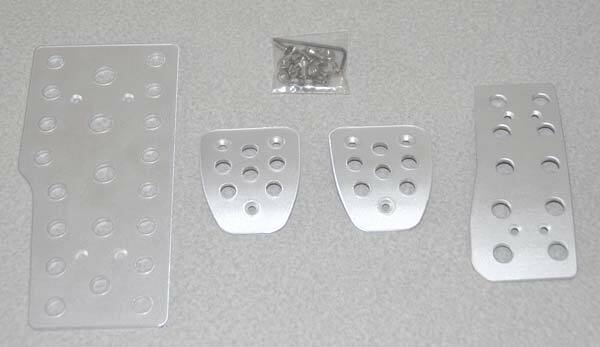 Here is the new billet aluminum mustang pedal kit out of the box. 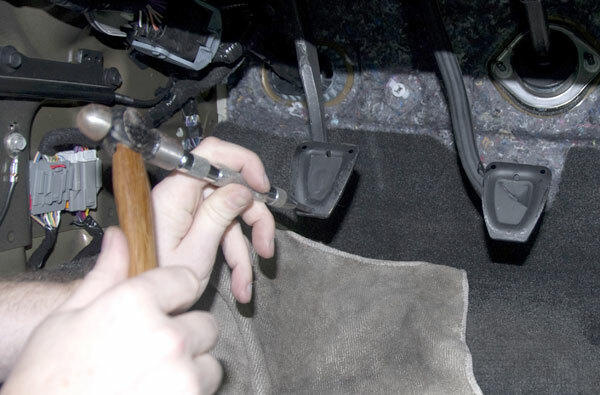 The stock gas pedal is held on with a Allen screw. I used a small screwdriver to get under one corner of the pedal cover. Once you get one corner up the rest will just pull off. 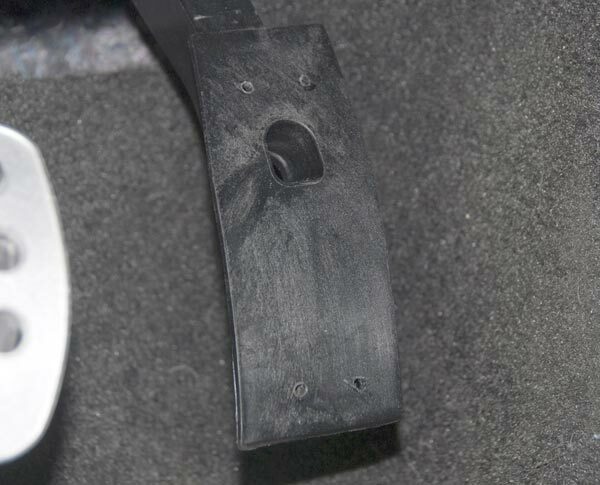 The backing of the pedal is rubber. The face is a thin metal and will dent and or bend. 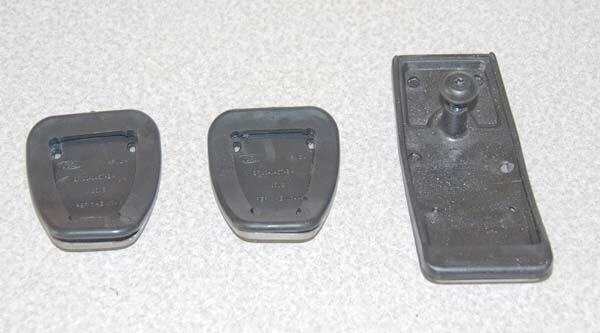 Remove all 3 pedal covers. 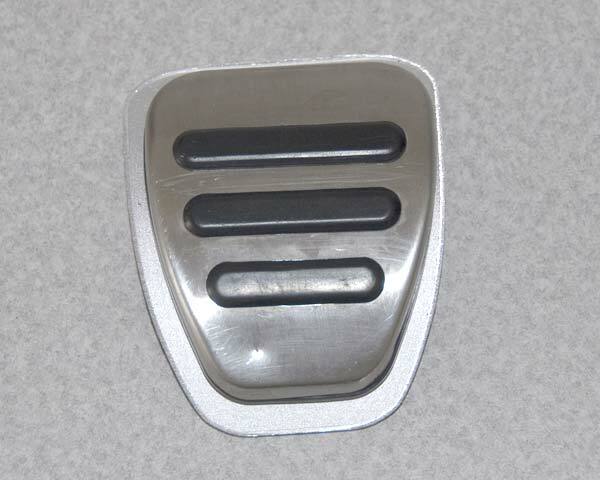 Here are the stock pedal covers from the underneath side. Stock clutch and brake pedal size compared to the new pedal size. 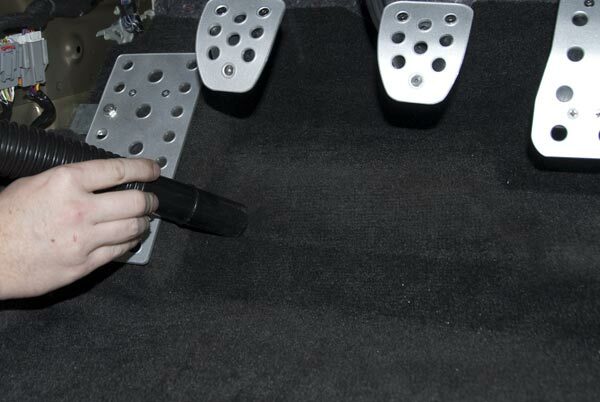 The stock gas pedal compared to the new pedal cover. Notice the extra wide bottom for that extra help with your heel toe driving. Also don’t worry about the extra length it has plenty of clearance. I marked the pedals with a punch. My silver paint pen was empty so I had to use a black marker. The lighter colored pen would have worked better. I then punched starter marks. This however was not enough to keep the drill bit on target. So I started the holes with a small Dremel bit.This provided enough for the larger drill bit to stay on target. I then drilled out the holes. 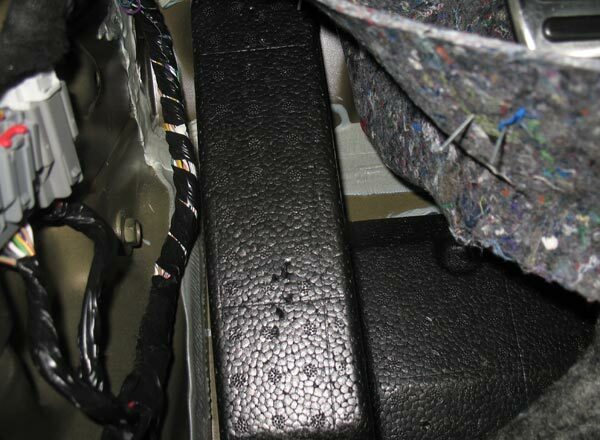 Set a rag down to catch the majority of the metal shavings. 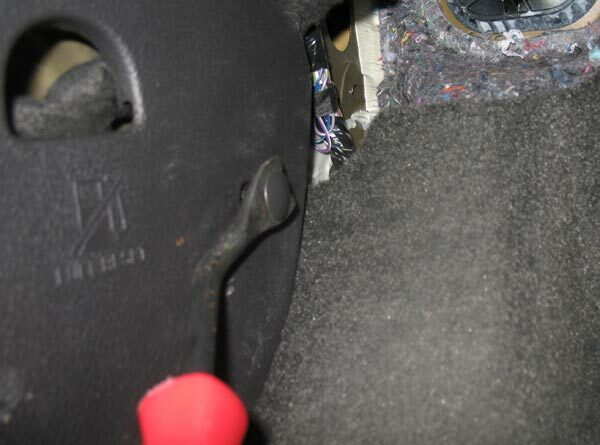 Note the brake pedal is much harder to get a good angle on as is does not move as much as the clutch pedal. Here are the finished 3 holes. The one in the upper middle was there from the factory and is not used. 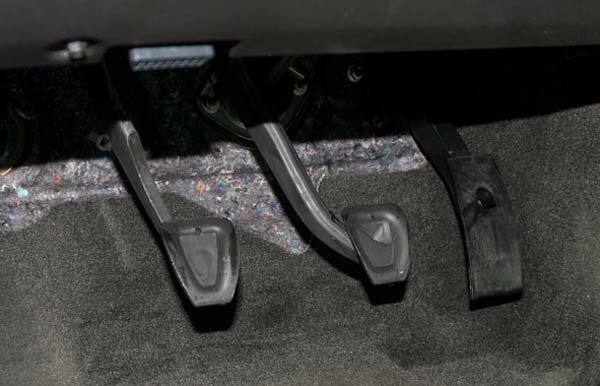 Here are the 4 holes in the gas pedal. 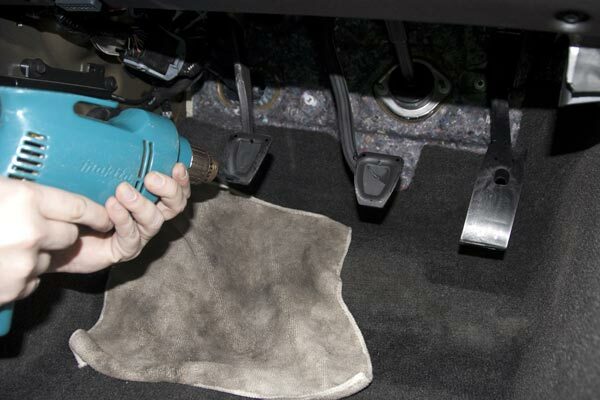 Do not drill this out too large as the pedal is held down with screws. Now used the supplied bolts and locking nuts to bolt them on the pedals. 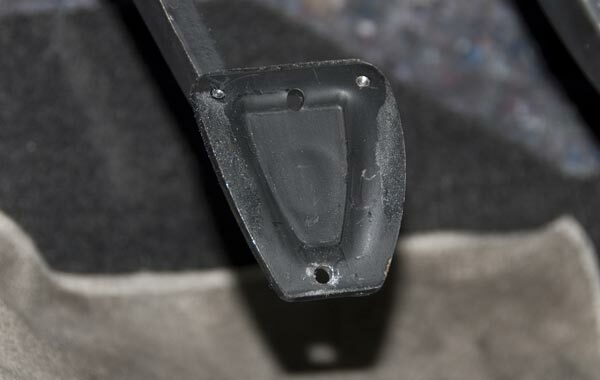 The gas pedal has 4 screws that bite into the plastic. I had to fishing tightening the nuts with a small wrench. This is one part you do not want getting lose on you later. Now lets move on to the deal pedal. 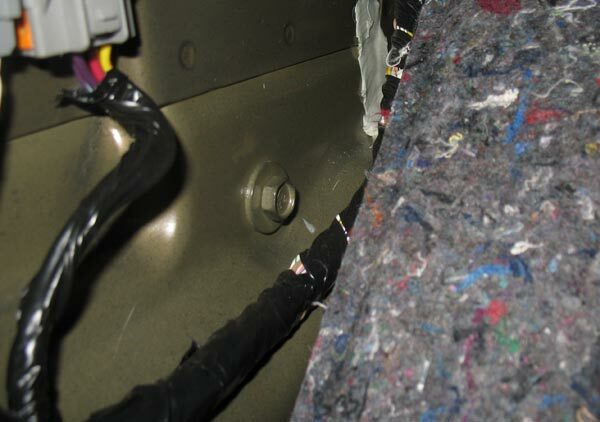 Use your trim tool to pull the plastic tab holding the panel on. Then pry up the end near the door sill. 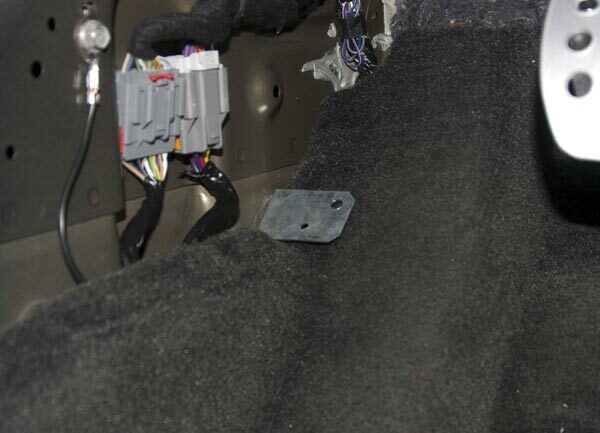 You will have to pop two or three of the mounting tabs to remove the interior panel. After you pull the panel out then you can start to pull back the carpet. This is the bolt we are hunting for. 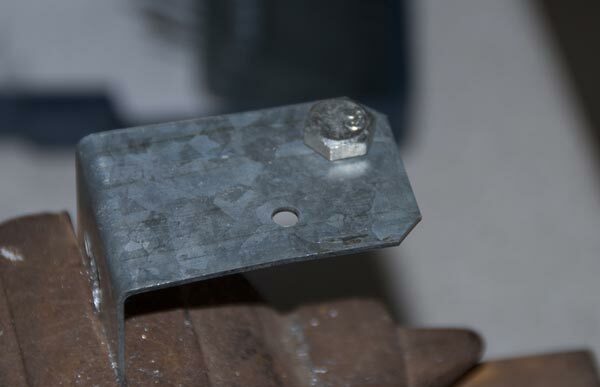 I am taking a cue from another manufacturer’s dead pedal and making this dead pedal mount to the wall. Otherwise it will be a bit loose and move around, as you can see from the next pic. Under the padding is just a foam brick. It is not tied to the floor its just under the carpet. This is what you will be driving the screws into. Because of this I did not use the supplied screws that were like 3/8 long. Those would hardly get through the carpet and padding. So I bought some larger #8 1.25 inch length ones that would get down into it deeper. 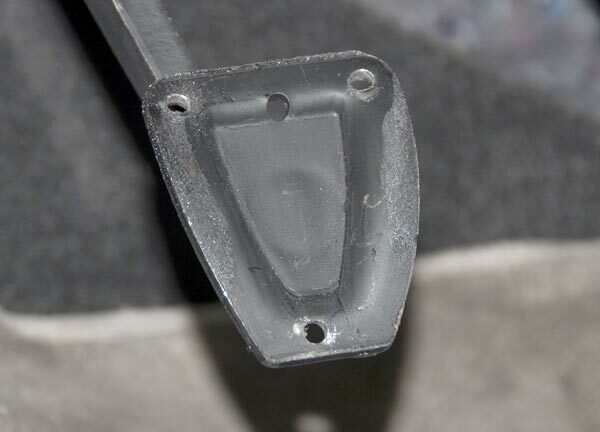 So I got an L bracket and drilled a hole large enough for the bolt on the wall and a hole for the very short bolt I used to hold it to the pedal. Then I bolted in on. Also note that I slotted the wall hole so I could adjust it up and down a bit for fitment height to match the pedal. 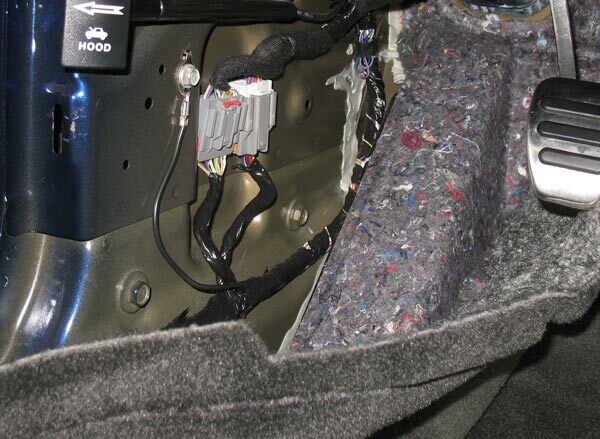 After test fitting then you can put the padding and carpet back down. First bolt the pedal to the bracket. 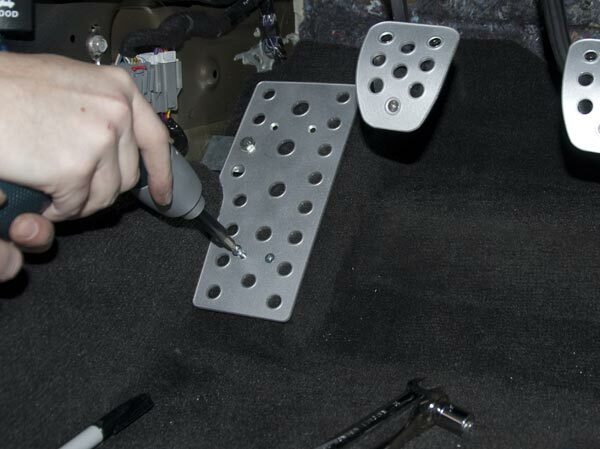 Then I put the 4 screws into the pre-drilled holes. Then put your plastic wall cover back on. Here is the dead pedal with everything back in place. This mustang is the first sports car that did not come with a dead pedal from the factory and it was just killing me not having one! Thanks LRS for you affordable and high quality pedal kit! 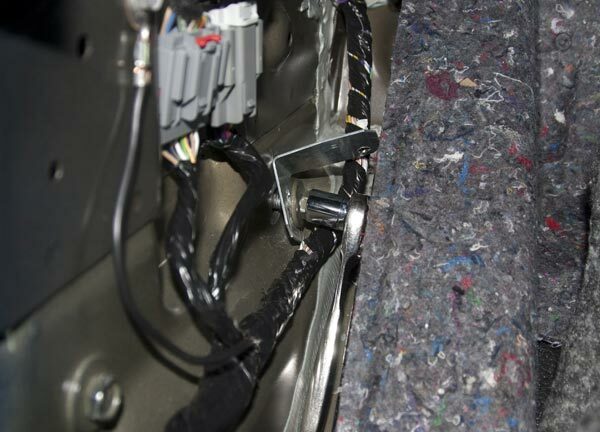 Vacuum up the stray metal shavings.